Thank you for purchasing my Genesis Heatset Paints. This is a beginner’s tutorial using Genesis to paint a vinyl doll. I recommend reading all the way through this tutorial before starting a doll. Secrist Doll Co. has several DVDs (The Art of Newborning: Painting with Genesis, and Rooting Your Reborn Doll and a classroom video), in which I do the artistic demonstrations, showing my techniques of reborning a Secrist Doll Kit from beginning to end, using Genesis Heatset Paints. I hope you’ll consider purchasing the DVDs (no, I don’t get royalties). I also wrote a book called “The Art & Magic of Reborning I and II which have been very popular. Genesis paints aren’t like any other paint you’ve ever used. First and best of all, they are all CERTIFIED NONTOXIC J They’re not traditional oils and not acrylics. The unique thing about Genesis paints is they stay workable until you cure them at 265*F (130*C). Genesis paints do not “dry” in the typical sense. They must be exposed to 265*F to become permanent—hence the name Heatset. Colors & Mediums I recommend: Flesh 08, Flesh 07, Flesh 06, Phthalo Blue 04, Phthalo Green 06, Titanium or Flake White, Burnt Umber or Burnt Umber Light, Raw Umber, Pyrrole Red 02, Pyrrole Red 05, Quinacridone Magenta 07, Dioxazine Purple 04, Genesis Yellow or Yellow Ocher, Mars Black, Thinning Medium, Glazing Gel, and Heatset Matte Varnish. You can use any of the Genesis colors similar to these — these are my favorites. Before getting started, I recommend you buy an oven thermometer before you bake your first Genesis painted piece. Higher temperatures can melt or warp a vinyl doll, or at the very least, cause an unwanted shine on the doll. Adjust your oven thermostat to result in 265*F, (or a tiny bit higher, but no lower), according to an accurate thermometer. The paints will not cure unless they reach 265*F (130*C). This is very crucial to the success of Genesis painting. Another crucial piece of equipment is a good, loud timer! The results from forgetting your doll in a hot oven can range from minor dolly warping to outright disaster and possible fire. Another thing, place the baking dish with doll parts in the center of the oven away from any elements or pilot lights, and make sure no threads or frayed parts of the towel are hanging over the edge of the baking sheet. Use common sense please! Some smell from the heated vinyl is normal and will dissipate as you continue working on the doll. Some vinyls are more “fragrant” than others. You’ll need a glass or ceramic dish or palette. If you use paper or plastic, the paint will adhere and become unusable. If you use a covered container, you can mix your paints and then cover them up until you do your next doll. No waste! Use only Artist Grade Odorless Paint Thinner or White or Clear Spirit, if you are in Europe or Canada. Look for quality art brands like Daler-Rowney, Grumbacher or Mona Lisa. You’ll find these thinners at your local arts & crafts retailer. For most applications, I prefer the Genesis Heatset Thinning Medium. It's a thick gel-like medium that thins the Genesis paints but less so than the odorless thinners do. If you do not tolerate odorless mineral spirits or other high VOC solvents, this is a good choice for you. Be sure to follow label directions. Other things to have on hand: small glass dish or bowl to hold odorless thinner, cotton swabs (the pointy ones are great), cheap white napkins or paper towels, old clean rags and towels to keep under your work, a cookie sheet or jelly roll pan (metal or ceramic, or pyrex) with an old clean towel folded up to fit without hanging over the edges. A few wooden craft sticks or coffee stirrers are nice to have on hand. All set now? Let’s get started! Start a palette using Red, Blue, Purple, Brown, Yellow, Green, Flesh 08 and 07 (Caucasian babies), White and Magenta or one of the lighter reds. I especially like Pyrrole Red 05. Also, get equal amounts of Thinning Gel and Glazing Medium too. Pour a tablespoon or so of odorless thinner into clean, small glass or ceramic dish or the center well of your palette. HINT: I like to use wooden craft sticks to take paint out of my jars. You only need a dab of paint about the size of a small pea to paint several dolls! INTERIOR PAINTING TRICK! If you have a translucent vinyl doll that would benefit from internal painting, this works well: Mix up a little of the purple & blue with a small amt of Genesis thinner. What you want is just enough blue-ish pigment to very subtly show the blue undertones from the outside of the doll. The areas I paint are behind the eyes, between the eyes, behind the lips, the ears and the nose. You can also do the neck creases if you wish. You'll be amazed at the difference it makes! We no longer recommend coating the entire interior of the vinyl. Eventually it leads to duskiness or at worst, the appearance of bruising. VEINING: The first thing to paint on the bare vinyl is veins. This is so that the veins will become mostly covered up with the thin layers of paint, which mimics skin overlaying our veins. Mix your veining color (blue with a bit of green, and thin it down really well) and apply with a thin brush. Use a clean cosmetic sponge to blend it into a blurry line as you go along. After you get all your veins done, you should bake all parts and allow them to cool. Remember: 265*F (or 130*C) for about 8 minutes. USE A TIMER! 4. First Flesh colored Foundation Layer: Start with a good strong mixing brush. I like the ½ inch Maxine’s Mop. If you dip your brush into the Odorless thinner, you’ll see how quickly it sops up. TIP: Always keep a supply of paper toweling or white napkins handy. NOTE: you can skip this step if you have a newer, light colored vinyl kit. If the vinyl is pale enough and needs no color correction, go straight to the first blushing layer. Press your thinner-dampened brush lightly onto a clean cosmetic sponge. Then dip the brush into the Flesh 08, and then into the Genesis thinner, and wipe the thinner/paint onto the dampened sponge. I start with Flesh 08 for most Caucasian skintones. I use a bit of Genesis Thinner added to the odorless thinner for this step, to cut down on chalkiness. Pounce it (bounce the sponge straight up and down, over and over again, until the paint smoothes and spreads onto the vinyl. You’ll know when it’s right because it will look like a very well applied coat of foundation makeup such as you would use on your face. It takes time and practice to get this step right! Be patient with yourself and keep at it until you get it right. Continue to pounce this thinned flesh color until you have a smooth foundation skintone. You can amend this basic foundational tone with red, blue, green, or yellow or brown tones to achieve a limitless variety of ethnicities on your reborn doll, or to correct a strange colored vinyl. (this is where the color wheel comes in). As the thinner/paint combo on the sponge gets used up (and it does fairly quickly), a bit of powdery look is normal, but streaks and obvious dots of light paint are not good. If you find this happening, dip your brush into the thinner again, blot out some of it, and then re-dampen the sponge again, and just keep pouncing over the foundation skintone color until it is really smooth. Once you like the looks of this foundational flesh tone, you can bake. NEVER BAKE UNTIL YOU ARE HAPPY WITH THE RESULTS! Once baked, it takes acetone or Winsor Newton Brush cleaner to get it off. CAUTION!! If you are using odorless thinner, let the parts dry for a few minutes until the shine is gone, before placing into a heated oven! Odorless mineral spirits (thinner) are flammable!! Handle the painted parts gently, and set them down carefully. Remember, until you bake the doll parts, the paint can rub off or will become mixed with fresh coats of paint you add to it! It will look a bit powdery & dry once the odorless thinner evaporates, but that doesn’t mean the paint itself is cured. Place the parts on the towel lined baking sheet and bake at 265*F (130*C) for approximately 8 minutes. Testing the cured paint: after the parts have cooled off, dip a cotton swab into some plain water and gently rub in several areas where you have painted. If the paint comes off at all, you have not cured the paint and it will have to be put back into the oven for an additional 3-5 minutes. External shading: If you don't do the interior undertone painting, you can add external pale purplish or bluish undertones to the deeper areas of the skin, such as between the eyes, around the nose, around the mouth; anywhere babies have a deeper bluish coloration. This is a way to achieve that realistic blue undertone depth that infants have. Mix up a pale purple or purple-blue, thinning just the slightest bit with Genesis thinner (you want a dryer paint mix for this). Take up a bit on your mop brush, but blot out most of it. What you want here is a dry-brush technique. BLUSHING: Now it’s time to start adding your blushing color. First, you have to mix up a good amount of blushing color. I make up one entire well on my palette with a lot of basic blush color in it. To start, dip your brush into the odorless thinner. Now, from your palette, get a little bit of the red, then green. Find a clean spot on your palette and move the brush around, mixing the thinner and two colors together well. Then add a small touch of purple or blue. Next, add a little Genesis thinner to this paint mix. What you want is a medium toned, blood color paint that is thin & transparent. (It’s ok if it seems too dark at first. If you have enough thinner mixed in, you’ll see when you apply it that it’s very clear when it’s on the doll and can be built up in layers). TIPS: Look at photos of real babies to get the blotchy look just right. If you do get too much red on the doll, go back with a clean sponge that has just thinner on it and blot some of it off. Or you can always add more flesh tones blend them in slightly. 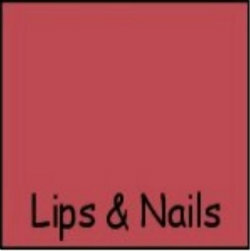 Lip color and nailbed color. I start with the blushing color for these areas and then add a bit more purple and brown to take it a shade darker. I use a special brush called a filbert to apply. The Thinning Gel Medium works best for this. Try using Glazing Gel Medium to add just a hint of shine to the lips and nail beds. You can mix the gel into the paint while wet, or you can come back later on and add it as a topcoat over the cured lips and nails. Bake the Gel Medium painted parts again if you use it this way! At this stage is when I add the final touches to the tips of the nails. I let the nails sit and dry for just a few minutes before adding the white lines to the tips, but you may wish to bake again before doing the tips. I use Flesh 08 mixed with the Thinning Gel medium and a very tiny (00) sized round brush to tip my nails with. If you do this step alone, the Genesis heatgun is perfect for just curing these small areas of paint. When you’re happy with the nails, lips and blushing colors, bake the doll parts again. NOTE: If desired, you can add shiny gloss to the lips, or the tongue, with any craft acrylic varnish after the Genesis paint is fully cured and cooled. After the parts cool again, I add another flesh coat. This time I use the same technique as I did with the blushing, but I use Flesh 07 or Flesh 06. Same technique, just apply a splotchy all over coat of Flesh 07 – hitting the high spots again, and avoid the creases wrinkles, palms and soles, lips and naibeds, then bake and cool. in tight spaces. Hit all the wrinkles and creases and blend them well, then bake and cool. Final Blushing: Now that you have 3 layers of nice transparent color you probably have a good skintone look on your vinyl. I like to use my Maxines’ Mop brush blotted most of the way out to apply some final blushing by pouncing on a little more color just on the high spots of the baby’s cheeks, maybe a bit more anywhere more pink is needed. Once the “baby” looks healthy and finished, I go on to the next step before baking the last time. it’s not drippy. Wipe off any excess paint from the point of the brush and carefully paint on individual hairs. I paint on a second set of “hairs” in a slightly darker or lighter blend and redo the brows again to give the depth and appearance of real hairs. Of course, this takes a lot of practice, but when it’s done right it’s a real triumph for you as an artist. Also, the light brown is just a first practice color. Of course once you’ve mastered this, you’ll want to mix your paints to match the hair of the finished doll. Try a very light brown first set of "hairs", and then go back with Flesh 7 and a touch of yellow ocher as highlights for a really blonde baby's brows. Some people prefer the control of a colored pencil. Not all colored pencils are compatible and permanent on vinyl. I use and sell ONLY Prismacolor pencils. Sharpened to a fine point, they make drawing eyebrows a cinch. They will be more or less permanent after about 24 hrs or after a bake cycle, but to be certain, I always add a fine layer of Matte Varnish or Thick Medium applied with a tiny brush and rebaked (the heatgun is great for this if you don't need to bake any other part of the doll). When all the details and blushing have been completed, you may bake the doll for the final time. Once the doll parts are all painted, go on to the finish steps such as adding hair, eyes, eyelashes etc. CAUTION!! Never add eyelashes or synthetic wigs until you are completely finished baking the doll—they will melt! Natural mohair (rooted hair and eyelashes) will be ok, but you should dampen it with water or better yet, diluted conditioner before repeatedly putting it into the oven. Otherwise you risk it frizzing up eventually. too shiny during the painting and baking process, get some Matte Heatset Varnish to use as a topcoat after you are finished with all coloring on your doll. This stuff is the answer for getting rid of that awful shine that silicone vinyls are known for when painted with Genesis paints. I use it with a cosmetic sponge, dabbing it on in a very thin coat all over the shiny spots once the painted parts are completely cooled. than 40% thinner to paint you might notice some stickiness (doesn’t cure right) or shine. If you feel your flesh layers seem chalky or dry, the best remedy is using the Thinning Medium. VERY COOL TIP: You can use it (super thin coat) on the finished doll and then heatset to bring back a dewier-moist complexion. A quirky thing about Genesis paints is, if you stir them a lot, they get THINNER as you stir. You might want to see if you can use this to your advantage and dispense with the odorless thinner. It gives some people a headache although it’s odorless. I use it to create dimensional places on the doll, such as painting it on over the eyebrows (after they are set) or over painted hair (I mix it with Matte Varnish when I use it on the head) to create the look of real hairs. I recommend a spotter brush for this. If you draw brows with Prismacolor pencils, use the thick medium to seal them. You can also mix it with the brow color and do it that way. Always heatset. I also use it mixed with a tiny bit of flesh 08 to create milia, or milk bumps. I apply these with the end of a rooting needle! You can sponge Thick Medium on in small amounts to create the look of pores. The possibilities are endless and fun to play with. Use of the Genesis Heatgun: Follow the instructions that come with the heatgun for safety and long life for your heatgun. The heatgun has 2 settings. Push the white trigger button once for hot and twice for cool. There is a color indicator on the side of the black handle. ALWAYS cool the heatgun for about 30 seconds minimum before turning it off and setting it down. Hold the gun no closer than about 3 inches from the surface of the vinyl and keep it moving at all times or you can melt the vinyl. When the vinyl gets almost too hot to touch, it's probably hot enough. You will have to take a white cotton swab and test the color everywhere you used the heatgun. Make sure no color comes off when you rub gently. If color comes off, you must heat again. Be sure to swab test all over each area you are drying with the heatgun. Be careful and be thorough!! Remember that Genesis Glaze and Matte Varnish require more time to heatset than the colors do. You'll know you haven't heatset these mediums by a white sticky chalky layer that will form. You may be able to simply reheat the parts again and the whiteness may disappear. If it doesn't, wipe off with thinner and reapply and re-heat. I really do NOT recommend the use of a heatgun for all over curing of Genesis paints. It can be sort of unreliable and certainly less convenient than baking the parts all at the same time in an oven. It’s great for heatsetting small spots as you go along, or taking traveling with you. Still, if it's the only thing you have to heatset your paints, you can get pretty proficient at using the heatgun. Many people are getting separate ovens to bake their dolls due to health concerns. I advocate this practice. The plasticizers used in the production of vinyl dolls or kits can vaporize and remain inside your oven. When you reheat the oven these compounds can enter your food. Over time, and especially if you bake a lot of dolls, this is probably a health hazard. If this is a concern to you, you may wish to invest in a smaller convection oven that you can use in another part of your house so fumes don't enter your food preparation areas. Basic Blush: Mix Phthalo Red 05, a tiny touch of Blue, and a small amount of Phthalo Green 06. This is your main blushing color. Then you can darken it a bit to get a good lip and nail color, and a bit darker yet for your creasing color. Lips & Nails: just add a little Genesis thinner and a bit more purple and possibly burnt umber to your Blush color - just to darken it a shade. Creases and shading: you want a sort of brownish red that’s easily blendable. If you make it too dark, the baby looks dirty. Just a hint of dark color in the wrinkles and creases works well. I start with some of my blush color, and then add a little more Pyrrole Red 02, burnt Umber, a tiny touch of Phthalo Blue 03 and a tiny touch of Dioxazine Purple 04. The only thinner I use for this is Genesis Thinner so that it's thicker and more easily blended in small areas. Or try using a dry brush technique with creases for more control. Blue Undertone Color: Mix purple and blue until you have Periwinkle Blue (this color). It should be thinned until it’s a medium opaque wash, not a solid coating of color. Diox. Purple 04 and Blue (Phthalo Blue 02 or 03, Ultramarine Blue). For spot painting on the inside, just use straight paint (only a small amount on the brush will do it). Veining can be a little to the green side or more to the blue depending on personal preference or the skintones of the baby you are painting. Mix blue and green together until you have the color you want. It’s basically a teal or dark turquoise. Thin well so that you can draw on a transparent line of color with your round brush or liner brush, and see a distinct ‘vein’ but still blend it in quickly with a sponge. No beginning or ending should be visible.